Justice Mohammad Yaqoob Mir will be sworn in as the new Chief Justice of the Meghalaya High Court on May 21. An official communiqué said Meghalaya Governor Ganga Prasad will administer the oath of office and secrecy to the new Chief Justice at the Durbar Hall of the Raj Bhavan at 4 pm. The Meghalaya High Court has been without Chief Justice after Justice Tarun Agarwala, who took oath as the chief justice of Meghalaya on February 12, retired on March 2. The office of the Chief Justice of Meghalaya High Court has fallen vacant recently following retirement of Justice Tarun Agarwala and consequently the working Judge-strength stands reduced to only one against the total Judge-strength of four. The Supreme Court Collegium has recommended Justice Mohammad Yaqoob Mir for appointment as the new Chief Justice of Meghalaya High Court. Justice Mir is the senior-most Judge from Jammu & Kashmir High Court and has been serving there since his elevation as a Judge of that High Court in November 2007. Born on May 28, 1957 at Village Rajpora, Pulwama Justice Mir did his LLB from Kashmir University and joined the Bar and practised as advocate from 1981 to 1993. He was appointed as district & sessions judge on May 27, 1993. Justice Mir was granted selection grade in July 2001 and was placed in Super Time Scale in April, 2007. He was elevated as Additional Judge of High Court of Jammu and Kashmir on November 23, 2007. He was appointed as permanent Judge of High Court of Jammu and Kashmir on October 1, 2009. 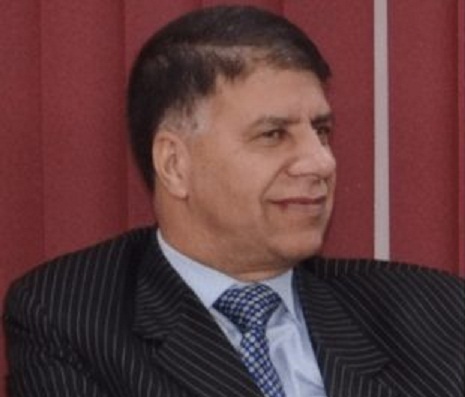 He also functioned as Acting Chief Justice of High Court of Jammu and Kashmir from January 5 to February 2, 2015.